It is 1942 and the effects of WWII are beginning to be felt in the traveling carnival where 12 year old Bee tends the hot dog stand. Most of the men are gone - drafted or enlisted, and now sugar and gasoline being rationed and life in the carnival is getting harder and harder for the owner, Ellis. Bee has lived in the back of a hauling truck with Pauline ever since she was 4 and her parents were killed in an accident. Ellis wants to put her into the sideshow. Bee has a diamond-shaped birthmark that covers one side of her face and he is sure people will pay good money to gawk at it. Pauline has always protected Bee from this fate, but when Ellis sends her to Poughkeepsie to work in a stationary show, life becomes much harder for Bee. Luckily, just as she needs someone to hold on to, a little dog the color of butterscotch that she names Peabody comes into Bee's life. All Bee has really ever wanted is a permanent home and family, and now at Ellis's mercy and with Pauline gone, she realizes she must find that for herself. So one morning, Bee runs away from the carnival with Peabody and Cordelia, a little piglet from the show. And then she comes upon it - the absolutely perfect gingerbread house where two elderly ladies are living and waiting for her. But wait, one of those ladies is familiar to Bee, she has seen her off and on before whenever things had gotten tough. Bee moves in but it doesn't take long to realize something isn't quite right about Mrs. Potter and Mrs. Swift. They certainly provide for her, even if they don't eat much, and they make sure she begins school, even if she is put in a 'special' class of kids separated from the 'regular' kids. 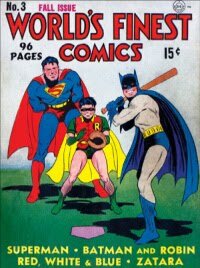 There, Bee makes a best friend, Ruth Ellen, a girl with a brace on her leg because of polio, and a worst enemy, Francine, a girl who continuously bullies her because of the 'diamond' on her face. But more and more, Bee is bothered by the fact that only she and Peabody can see her caretakers. One the one hand, it causes Bee problems with the nosy neighbor who thinks she's living in the house alone and the school principle who wants them to come to school for a meeting. One the other hand, Bee loves these two odd ladies and doesn't like to be reminded that they came to help her and won't be able to stay forever. Still, life is ever so much better for Bee now, except for the bullying over the birthmark so that she stills feels the need to cover up by pulling her hair tightly over it "like a curtain." But sometimes, at home or at Ruth Ellen's, Bee forgets about her birthmark. But then Mrs. Potter and Mrs. Swift begin to visibly fade away. Was life in her gingerbread house too good to be true for Bee? Or will she find the strength and courage to fight for the home and family that she wants so badly? 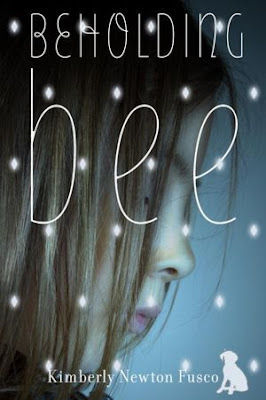 Beholding Bee is one of those Middle Grade novels I couldn't put down. Bee, the book's first person narrator, tells her story in short, sometimes very short, chapters and in language so conversational it feels like she is speaking directly to you and only you. Sometimes when she is speculating on a thought or idea, or when she is trying to figure out why someone has done something, her voice has an endearing quality I don't find often enough in Middle Grade novels. And there is a lot going on in this wonderful coming of age story - issues around bullying, inclusion in school, self-esteem, self-reliance, courage. Pauline has always protected her, especially from bullies, but now Bee is, essentially, on her own and must learn to take care of herself, even if that does mean making mistakes along the way. This is a home front novel and there are some wonderful WWII references throughout the book giving the setting a real feeling of the time. But the one realistic aspect that always gets to me in these books are the way they make you realize how very, very vulnerable children, are especially during a war. Had Bee not found the courage to run away from a greedy adult who just wanted to exploit her, she would most certainly have ended up a carnival side show attraction with no one to stand up for her and stop it. I have always like fantasy and sci-fi, but nothing pulls me into a book quite like magical realism. And so I loved Beholding Bee. Set so completely in reality, you begin to wonder about Mrs. Potter and Mrs. Swift. Ghosts from the past? Figments of Bee's imagination? I guess you will just have to read Beholding Bee and decide for yourself. One more thing - Peabody is definitely the dog of my dreams. I can't wait to read this book. The characters seem well developed, and the story line echoes themes so relevant to tweens and teens. You won't be sorry (I hope) This is a wonderful book and I couldn't put it down - really a captivating read. This book sounds fabulous! I will definitely have to read it this summer. I loved your review and the cover is so beautiful. Added it to my list! Thanks, Stephanie. I liked the cover, too, it is so expressive of the book and how Bee cover her birthmark. I'm go glad it is on your list, it is such a good book. It is a wonderful story, Resh, and Mrs. Potter and Mrs. Swift are great characters. I grew very attached, myself. Another great find Alex. I'm almost impatient for my daughter to be of that age where we could read these type of books. Although, after the "teenage tantrum" she threw a few days ago (and I thought we had a few years to go), I think I'd rather wait. "teenage tantrum" oh boy, are you in for a few fun years, but just remember like everything else they will outgrow them too. It well be nice, though, when the two of you can read books together, and have a little father/daughter book club. Sounds really good. I love magical realism too.